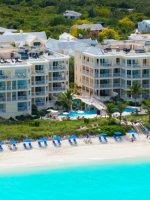 Note: Beaches Turks & Caicos will close indefinitely in 2021. 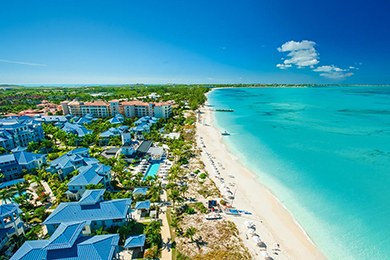 Luxury meets adventure at Beaches Turks & Caicos, located in exotic Grace Bay. The 758-room resort is a destination in itself, with several different villages — Caribbean, French, Key West and Italian — each designed to reflect the style of its region. The expansive resort is truly a wonderland, following a $125-million expansion comprised of the Italian Village, Key West Village, new pools and restaurants, and an enhanced Pirate’s Island Waterpark, the largest aqua playground in the Caribbean. The water park, now expanded to 10 times its original size, features eight slides, a Body Glove Waves surf simulator, a 650-foot lazy river and much more. Families revel in the resort’s 21 onsite restaurants with an array of international cuisine styles. And Beaches’ claim to fame (one of them, anyway) is its association with Sesame Street. Favorite characters, including Big Bird, Elmo, Cookie Monster and Oscar the Grouch, make appearances daily. Adventure programs with characters, as well as parades, nightly tuck-in times, breakfasts and photo ops are available for kids to enjoy. For more information, see our Beaches Resorts page. In total, there are 758 rooms in 44 configurations, spread across the Caribbean, French, Key West and Italian Villages. All rooms include air conditioning, king or double beds, satellite TV, refrigerators, clock radios, and private baths and showers with tiled floors. The one-of-a-kind suite is located on the third floor of the Main Building's East Wing and accommodates five in a 1,377-square-foot Butler-Service suite. The suite has a full living room, formal dining area, full kitchen, bedroom with king bed, two queen sofa beds and a large balcony overlooking the gardens, pool and ocean. These 697-square-foot suites are located on the first and second floors of the Parrot Cay Villas and accommodate five people. Ground-floor suites have patios, and second-floor suites have balconies overlooking the gardens. These 498-square-foot suites are located on the first through third floors of the east and west wings of the Main Building and accommodate five people. Suites have either a patio or balcony overlooking the gardens. These 398-square-foot rooms are found on the third floor of the east and west wings of the Main Building and sleep four. All rooms have balconies overlooking the gardens or the pool area. These 398-square-foot rooms are found on the first floor of the east and west wings of the Main Building and sleep up to four. All rooms have balconies with views of the gardens. These 398-square-foot rooms are found on the second floor of the east and west wings of the Main Building and sleep four. All rooms have patios that lead out to the pool or gardens. These 822-square-foot suites are found on the first through third floors of the Salt Cay Villas and accommodate five in rooms with views of the gardens, pool area or ocean. Located on the first floor of the Pine Cay and French Cay Villas, these 1,426-square-foot suites accommodate eight with one king bedroom and a second room with double beds. These suites have patios that lead out to the gardens or pool area, and some overlook the ocean. Naturally, this village has a European vibe and "left bank" sidewalks with bistros and cafes and beautiful gardens, inspired by those in Versailles. One massive pool with zero-entry and a swim-up bar and hot tub is centered in the village. Room options are better suited to large families (versus the Caribbean Village) with one-, two- and three-bedroom suites accommodating up to 14 people available. The French Village is also the most budget-friendly. Standard rooms in this portion of the resort provide two double beds and a single sleep chair or one king and one twin daybed with a trundle. Many rooms in the French Village don't have actual patios or balconies, but French balconettes can be opened for views of the pool, gardens or ocean (though guests cannot walkout onto them). Each bedroom has a king-sized bed with a trundle or double beds with a single pullout sofa, accommodating up to 14 people. All of these 1,401-square-foot rooms connect and have their own private entrance. Suites on the first floor have small patios and third-floor suites have French balconettes overlooking the pool or gardens. The suites are located in the Bordeaux and Cannes buildings. These suites are exactly same as the above, in a two-bedroom (instead of three-bedroom) setting. The two-bedroom unit accommodates up to 11 people and is 1,134 square feet in size. French balconettes overlook the pool and gardens. These 756-sqaure-foot suites are exactly same as the above, except in a one-bedroom setting. The one-bedroom accommodates seven guests and offers views of the pool and gardens. Located on the first floor of all the French Village buildings, these four-person, 378-square-foot suites feature a room with a king-sized bed with a trundle or two double beds with a single sleeper chair and a large walkout patio with views of the pool and gardens. 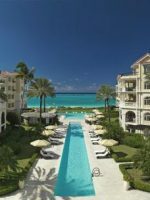 Along with the French Village Luxury Walkout rooms, these are the smallest-sized rooms on the Beaches property, at only 378 square feet, and are found on the second and third floors of all the French Village buildings. Sleeping four, the rooms feature a king bed with a trundle or double beds with a single sleep chair and French balconettes overlooking the pool and gardens. If you desire a more luxurious experience, tailored especially for families, the Italian Village fits the bill. Here, 162 family suites offer everything a family needs, regardless of age. Youngsters will enjoy separate rooms with bunk beds while parents can relax in their own sitting room with a plasma TV and Jacuzzi tub. The Italian Village also has its own 14,000-square-foot pool with a signature swim-up bar; an expanded Kids Camp facility for ages 5 to 12, with an arts and crafts center; a teen lounge with arcade games and foosball; Liquid, an aqua-themed nightclub for teens; 7,000 square feet of retail space; and five gourmet restaurants, plus a wood-fired pizza oven. There are Imperial Suites and other top-tier suite offerings in the Italian Village for the discerning family. Some of the top-tier suites also have butler service. Featured on the first floor of the Capri Building, the oceanfront, 1,368-sqaure-foot suite can accommodate 12 and opens directly to the beach with two oversized patios. A king master has its own bar area with a refrigerator and microwave. Kids have bunk beds with a trundle and a bathroom with dual vanities. Connecting doors lead to a living room with a daybed and trundle, sleeper sofa, dining table with seating for six, refrigerator and microwave. Three flat-screen TVs are offered, with the kids' room also featuring an Xbox 360. Featured on the fifth and sixth floors of the Capri Building, this panoramic oceanfront, 1,368-sqaure-foot suite can accommodate 12 in a setup similar to the two-bedroom above, but without a walkout patio. Located on the second through fourth floors of the Capri Building, these oceanfront, 1,368-sqaure-foot suites can accommodate 12. The suites are similar to the above penthouse, but without the panoramic views. Similar to the other Imperial Suites, the penthouses are located on the fifth and sixth floors of Pisa and San Marino buildings and can accommodate 10 people. The 1,152-sqaure-foot suites overlook the ocean, pool and gardens. Located on the first floor of the Pisa and San Marino buildings, these 1,202-square-foot suites are similar to the oceanfront walkouts, except they overlook the pool and gardens. The 1,202-square-foot suite accommodates 11 people. These 1,152-square-foot suites also accommodate 10 people and are located on the third and fourth floors of Pisa and San Marino, with views of the ocean, pool and gardens. Another Imperial Suite option at 1,152 square feet, this unit accommodates 10 people on the second floor of the Pisa and San Marino buildings with views of the pool and gardens. The first in the following series that do not include Butler Service, this 72-sqaure-foot family suite is located directly on the oceanfront of the first floor of the Amalfi and Capri buildings, without a living and dining room, and sleeps eight. Located on the fifth and sixth floors of the Capri building, these 720-square-foot family suites also sleep eight and are oceanfront, but without a private walkout. Similar to the other suites, including the direct oceanfront view and accommodations for eight, these 720-sqaure-foot suites are located on the second floor of Amalfi and the second through fourth floors of Capri. Similar to the oceanfront suites at 720 square feet, these accommodate six people and are located on the fifth and sixth floors of the Pompeii, Pisa and San Marino buildings, with panoramic views of the ocean, pool and gardens. These are 690 square feet in size, and allow guests to walk out to the pool and gardens; they sleep seven. The suites are located on the first floor of the Positano, Milano, Tivoli, Pompeii, Pisa and San Marino buildings. These 640-square-feet suites feature pool, garden and some ocean views. Located on the third and fourth floors of Pompeii, Pisa and San Marino buildings, these suites accommodate six. Like the other suites, these 640-square-foot suites are similar in size and vistas and appear on the second floor of Positano, Milano, Tivoli, Pompeii, Pisa and San Marino buildings, with views of the pool and gardens. 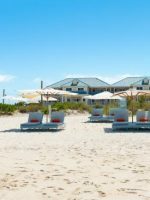 Key West Village, which opened in May 2013, is the newest neighborhood to join the resort, and offers a vibe of the Southernmost point in the United States, after which it's named. Next to the Italian Village, the ultra-luxurious village offers oceanfront accommodations, many with multiple balconies. It also has 168 additional large accommodations, featuring studios, one- and two-bedroom suites and three- to four-bedroom villas, some with private pools. These villas are 2,847-sqaure-foot, individual homes situated directly on the beach, with full kitchens, living rooms and four bedrooms with king or queen beds that can also accommodate a rollaway and house up to 10 people. 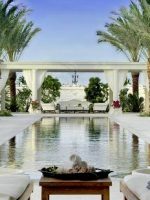 Outside, there is a large porch, covered dry area and a private pool. These 2,585-square-foot villas have three floors and provide a full kitchen, living room, and four bedrooms with three king beds, two double beds and two rollaway options to accommodate up to 10 people. Villas receive butler service, and there is also a sunroom and deck that overlooks the ocean. These 2,007-square-foot villas have three floors and provide a full kitchen, living room, and four bedrooms with three king beds, two double beds and two rollaway options to accommodate up to 10 people. Villas receive butler service and offer views of the gardens. These 2,189-square-foot villas have three floors and provide a full kitchen, living room, and three bedrooms with three king beds and two rollaway options to accommodate up to eight people. The third floor has either an outdoor relaxation area or sunroom overlooking the ocean. Villas receive butler service. These 1,761-square-foot villas have three floors and provide a full kitchen, living room, and three bedrooms that can accommodate up to eight people. All bedrooms feature a king or queen sized bed. The third floor has either an outdoor relaxation area or sunroom overlooking the gardens. Villas receive butler service. Located on the fourth floor of the Veranda House, these 1,760-square-foot loft suites feature a living/dining room with a breakfast bar and an open kitchen. The master bedroom, with a king bed, is located on the upper floor, while a second bedroom with a king bed is located on the main floor. There are also two balconies overlooking the ocean. These 1,336-square-foot suites have two stories, some with a spiral staircase, and two bedrooms with king beds that can accommodate up to six people. A fully equipped kitchen looks over a living and dining area with a breakfast nook. Suites receive concierge service and have views of the gardens and pool area. The one-story, two-bedroom, 1,226-square-foot suites feature two king beds, a living and dining area, a fully equipped kitchen and a terrace overlooking the gardens. Suites receive concierge service. Accommodating up to four, this one-bedroom, 832-square-foot suite features a king bed and a double sofa bed in the living area and can also fit a rollaway. The suite features a fully equipped kitchen and ocean views and comes with concierge service. Accommodating up to four in the Veranda House, this one-bedroom, 769-square-foot suite features a king bed and a double sofa bed in the living area. The suite features a fully equipped kitchen and large balcony with garden and pool views, and comes with concierge service. This 704-square-foot suite features one bedroom with a king bed and sofa bed in the living room to accommodate up to four people. The suite features a living and dining area, a fully equipped kitchen and comes with concierge service. There is also a cozy terrace overlooking the gardens and pool. This 575-square-foot room features four large bay windows, a king bed and a sofa bed with outstanding ocean views, and can accommodate up to four people. The rooms, located on the third and fourth floors of the Veranda House, feature a balcony and come with concierge service. Located on the first through fourth floors of the Veranda House, these 523-square-foot rooms king and trundle day beds, which can accommodate up to four people. All rooms have a patio or balcony overlooking the gardens and come with concierge service. The most standard of room options in the Key West Village, this 428-square-foot room features a king bed and a single pullout chair and can accommodate up to three people. It also features a balcony or patio with garden views, and comes with concierge service. My husband, son and I have just returned from 10 days at Beaches in Turks and Caicos. It was utterly perfect and as someone who has incredibly high standards couldn't find fault. The moment you arrive at the airport you are looked after so well. All the staff are so friendly and helpful. The surroundings are truly beautiful, such attention to detail and such well cared for gardens make you feel so relaxed. The beach is unbelievably beautiful. The choice of restaurants is amazing as is the food and we love our food! I highly recommend this gorgeous place. We are already planning another visit.Thank you Beaches for a wonderful holiday! My wife and I along with my 9 year old stayed in the French Village and had an excellent time. We swam in ocean and spent a lot of time at he Pirate Cove area for my 9 yo. She also took the PADI seal team SCUBA course and learned how to scuba in a pool down to 10 feet with personal instructor. The last night she was able to SCUBA in the lazy river with flash lights and her instructor. She was very excited. We played tennis and met the pro Alex. The restaurants were good and the property well kept. We already booked another trip back next year when I will also take our older children who are in college. There are 10 swimming pools -- three with swim-up bars -- and four whirlpool hot tubs, including one stand-alone, adults-only hot tub with ocean views. 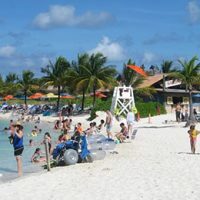 Guests can enjoy three Caribbean Village pools: Cascade's, Iguana's and Camp Sesame (for the 4-and-under set); Pirate's Island Waterpark, Riviera Pool, the French Village Pool, the three Key West Village Pools (which include the resort's only adults-only pool), and the Italian Village Pool, the busiest of them all. The Pirate's Island Waterpark, a 45,000-square-foot aquatic playground with water slides, two kiddie pools, a 650-foot lazy river and Body Glove Waves surf simulator for simulated surf experiences, are absolutely amazing. Tiny tots can enjoy a beached pirate ship with water cannons, cranks and sprays, along with a zero-entry pool. At every turn, you'll also find a lifeguard. On the beach, families can canoe, kayak, snorkel, wind surf, dive, sail and hydrobike at no extra charge (these activities are part of the all-inclusive rates). Besides being the place for kids to enjoy water fun, this area of the resort is also home to the kids' programs, divided into ages 5 to 7, 8 to 10, 'tweens and teens. Shadow Lounge is a game room for 'tweens and teens to hang out, and the huge air-conditioned Xbox Play Lounge features 45 Xbox game stations (although kids complain there are not enough working consoles). On land, and also included, families can enjoy croquet, lawn chess, beach volleyball, tennis (day and night), table tennis, billiards and board games. From pizza and soda bars, to their own "nightclub" with karaoke, 'tweens and teens have a place to hang. Activities include supervised water sports, pool games, tennis clinics, dancing, and talent shows. 'Tween and teen programming includes Liquid, the only 21-and-under nightclub in the Caribbean designed just for teens. The teen-only hangout includes arcade games and foosball. From the smallest newborn through 24 months, a baby is always in the very best hands at Beaches. There are two Camp Sesame locations: Caribbean Village and Key West Village. Climate-controlled nurseries, cribs, strollers, high chairs, rocking chairs and simply everything a little one could ever need are here from 9 a.m. until 9 p.m. The resort has Certified Nannies, too, who are child development specialists that have been trained and certified in accordance with an accredited United States university. Children are divided into groups, ages 0 to 11 months, 12 to 24 months, and 3 to 4 years. Three to 4-year-olds can truly have a blast with their very own set of activities, supervised by Certified Nannies. The fun includes toddler pools, shell collecting, face painting, treasure hunts, puppets, costume time, magic shows, sand castle building and so much more. Sesame Street characters often make an appearance here. Children must be potty-trained to participate in this program. Hours are 9 a.m. to 5 p.m. and 6 p.m. to 10 p.m., except on Wednesdays, when they close the day session at 4:30 p.m., and on Saturdays when they close the evening session at 9 p.m. Camps are open early at 8 a.m., if parents are registered for early-morning dives; pre-registration is required. All children should have sunscreen, dry clothing, shoes, swimsuits, diapers, wipes, and swim diapers. This is Beaches' teen and 'tween hangout. Offerings include laser hockey, foosball, electronic basketball, two large flat-screen TV's, a state-of-the-art sound system and, of course, plenty of space to lounge, talk and text. Even teens deserve to be treated like princes and princesses every once in awhile, so look no further than Red Lane Spa for such extravagant treatment. Services include special manicures and pedicures, and facials devoted to the complexion needs of teens. Exclusive Red Lane botanical products and essential oils are used. At Beaches, both experts and beginners can enjoy guided dives showcasing spectacular coral reefs, colorful marine life and exotic underwater treasures. PADI Discover Scuba, offered at a fee, provides new divers with training and provides certification valid for one year. Children can learn to dive in the Bubblemaker (for kids 8 and up) and Seal Team (for kids 8 and 9) programs, also at additional costs. Additionally, Beaches Turks & Caicos has expanded the diving program to include a special course for disabled divers. Themed activities, including the colorful, loveable cast of Sesame Street characters, such as Big Bird, Cookie Monster and Elmo, are part of the fun at Beaches Turks & Caicos. Kids can go bird-watching with Big Bird, enjoy story time with Elmo, bake cookies with Cookie Monster, find magical treasures with Abby Cadabby, make music with Bert & Ernie, dance with Zoe, explore with Grover, and become magicians with the Count. Sesame Street stage shows, a Tuesday night character parade, character breakfasts, photo sessions, birthday parties and nightly tuck-in times are also available. Breakfasts featuring all nine characters occur on Mondays and Thursdays at 8 a.m. There are 21 restaurants at Beaches Turks & Caicos. Culinary choices include everything from barefoot eating beachside, to gourmet themed-choices, to adult-only romantic dining. The resort also features a late-night, weekly Chocolate Extravaganza with a number of handmade chocolate delights. The weekly Soon Come Back BBQ Beach Party on Friday nights is a must, when live music, BBQ's and bonfires are featured. On Wednesdays, repeat guests are also invited to attend Sandals Select Luncheons. This Tex-Mex eatery boasts brightly hued walls of giant lizards and Southwest decor. Satisfy your appetite with sizzling fajitas, BBQ, or favorites like cheeseburgers and fries. If dining outside is your pleasure, a patio table is a great bet. The dress code for this restaurant is casual. Lunch: 12 to 4 p.m.; Dinner: 6 to 9:30 p.m. This restaurant serves up local seafood delights while diners can wiggle their toes in the powder-soft sand. The dress code for this restaurant is casual. Breakfast: 7:30 to 10:30 a.m.; Lunch: 12:30 to 2:30 p.mx. ; Dinner: 6 to 9:30 p.m. Enjoy the view at this open-air beachfront restaurant. International cuisine is served for breakfast, lunch and dinner. There is also a second-level lounge overlooking Grace Bay Beach. The dress code for this restaurant is casual. Breakfast: 7:30 a.m. to 10:30 a.m.; Lunch: 12:30 p.m. to 2:30 p.m.; Dinner: 5:30 p.m. to 9:30 p.m.; Bar: 10 a.m. to 1 a.m.
Wood-fired ovens make wonderful pizzas. Grab a seat in a teakwood table and listen to calypso music. The dress code for this restaurant is casual, and it's open 11 a.m. to 5 p.m. Beaches first Indian restaurant, guests can feast on flavorful dishes like chicken tikka, lamb samosas, lobster and kebabs. Dress is resort casual and no reservation is required. Located within the Jolly Roger ship on Pirate's Island, find pizza, macaroni and cheese, burgers, chicken nuggets and other favorites for youngsters. The dress code for this restaurant is casual, and it's open from 11 a.m. to 6 a.m. (yes, 6 a.m. -- the restaurant aims to provide kid-friendly food around the clock). Bar (non-alcoholic): 10 a.m. to 5 p.m.
Enchanting destination serving espresso, coffees, cappuccinos and an assortment of gourmet pastries. The dress code for this restaurant is casual. Serves from 6 a.m. to 10 p.m. This laid-back courtyard style bistro features excellent beach views while you dine. Families can enjoy things like burgers, hot dogs, salads and fruit plates at this beachfront eatery. At this authentic British pub, guests can play a game of snooker while enjoying traditional bangers and mash, as well as local ales. It's open from 12 p.m. to 2 a.m.
Take a break from splashing in the water park and grab some ice cream at this food truck located in the water park. Who gets tired of pizza on vacation? Your family will never bore of this brick-oven eatery. The dress code for this restaurant is casual, and it's open from 11 a.m. to 6 p.m. Truly a family favorite at the resort, Tuscan-inspired selections can please all ages. Dine al fresco or inside the festive restaurant with cathedral ceilings. The dress code for this restaurant is casual during the day, and it's resort evening wear (think sundresses and polos) during dinner. Breakfast: 7 to 10:30 a.m.; Lunch: 12:30 to 2:30 p.m.; Dinner: 5:30 to 9:30 p.m. This authentic Jamaican Jerk shack serves up irresistible flavor in an open-air setting. Knives flashing expertly, shrimp flying through the air with precision, and smiling kids are what you'll find inside this Teppanyaki-style eatery -- chefs put on quite a show. This spot is so popular that it's the only onsite restaurant that requires reservations; book as soon as you get to the resort! The dress code for this dinner-only restaurant (open 5 to 9 p.m.) is resort casual. Journey to Northern Italy via this Tuscan-inspired restaurant with an open kitchen, ironwork, and vaulted ceilings. The enchanting dining experience also features a special Medieval-themed area for children, where they will enjoy an extraordinary dining experience. The fare includes Italian favorites and some new surprises. The dress code for this restaurant is casual during the day, but resort evening attire is required for dinner. Breakfast: 6:30 to 10:30 a.m.; Lunch: 12:30 to 2:30 p.m.; Dinner: 5:30 to 10:00 p.m. Kids will love this food truck located in the water park where the cheesiest of mac and cheeses can be found! New at the Key West Village is the beachside casual restaurant serving up seafood with views of the Atlantic Ocean. Breakfast: 7:30 to 10:30 a.m.; Lunch: 12:30 p.m. to 2:30 p.m.; Dinner: 6 to 9:30 p.m.
Dine outdoors under a breezy awning and feast on international fare for breakfast, lunch or dinner. If dining indoors, family dining is ideal and youngsters will enjoy the decor, which includes walls decorated with tropical fish. The dress code for this restaurant is casual. Enjoy fresh seafood from around the globe in this nautically themed restaurant, just steps from the beach. Dine inside or outside. The dress code for this restaurant is casual for breakfast and resort evening wear at dinner. Breakfast: 7:30 to 10:30 a.m.; Dinner: 6 to 9:30 p.m.; Bar: 5:30 p.m. to 11 p.m. This grand open-air rooftop restaurant in Key West Village invites guests to admire the skyline and water-scape from the terrace. Chefs create Italian cuisine and seafood dishes. The calming breeze, admirable views and Caribbean inspired cuisine draw guests to this restaurant. The dress code is resort casual. Located by the entrance to Kimono's and behind bamboo is Soy, the Resort's Sushi bar. Decorated with an Oriental theme, Soy serves fresh sushi. The dress code for this restaurant is casual. Dinner is served from 6 to 9:30 p.m. and the bar is open from 5 p.m. to 11 p.m. Besides its kids' and babies' centers included during the day, nighttime care is available at $15 per hour. If you plan to stay out past 11 p.m., there is an extra $20 charge to pay for the babysitter's transportation home. If you want to use the resort's facilities after you check out, the Departure Lounge will store luggage, and also provides a place to shower and dress following water activities. This is conveniently where the shuttle to the airport departs, too. For anyone requiring a special diet while staying at Beaches, a desk in the Caribbean Village Lobby operates from 8 a.m. to 3 p.m. to take requests. The staff will ensure at least one dish at every restaurant, at any given time, will meet dietary constraints. Start your day with an invigorating workout at the resort's 900-square-foot fitness center, located in the French Village. You can also exercise in a fitness facility at the Key West Village. Changing facilities are located nearby. With all that is included at Beaches, it's a surprise that Internet is not. Wi-Fi is available for a fee of $14.99 per day or $49.99 per week. Welcome orientations are held daily at 9 a.m. and 4 p.m. in the Main Lobby of the Caribbean Village. With the resort's expansive size, we highly recommend someone from your family attend to learn about all the programs, restaurants and special events taking place during your stay. A resort of this size needs to be ready for emergencies and a trained nurse is available daily from 8 a.m. to 11 p.m. daily. Step into the tranquil haven of these spas -- one in the French Village and the other in the Key West Village -- to experience a sanctuary for mind, body and soul that blends classic spa offerings with a Caribbean flair. Body treatments, massages, facials, special pedicures and manicures are wonderful. There's also a couple's massage that can be a great treat while the kids are kept busy with their own fun. As an all-inclusive resort, Beaches has a "no-tipping" policy. Tips for housekeeping, servers, bartenders, childcare staff and pool/beach attendants are all included in rates. This doesn't mean staff won't accept additional tips though, or provide a little extra attention to your family if you choose to tip. All facilities are open year-round. 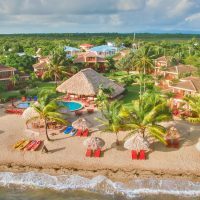 Similar to other Caribbean destinations, the fall is often considered a shoulder season, while winter is a popular due to the cold temperatures in the Northern U.S. During the summer, many great deals are available. This property receives abundant sunshine and enjoys warm temperatures year-round, so anytime is a great time to visit. 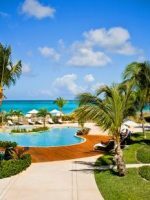 Airport transfers are included in a stay at Beaches Turks & Caicos. 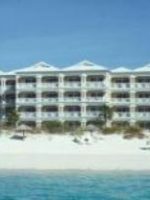 The airport (Providenciales) is about a 10 to 15 minute drive to the resort. American Airlines has direct flights from New York (JFK) and Miami, while United Airlines flies direct from Charlotte, NC. Other U.S. hubs usually offer connecting flights through Florida and Puerto Rico. Upon departure, guests will need to pay a $20 fee, per adult, at the airport. 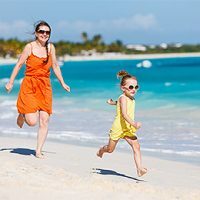 While parents can rest easy knowing their children are taken care of with Beaches' Certified Nannies, there are several activities on property that will reignite the romance. Couples can dive hand in hand during a scuba session, lay in a hammock on the beach sipping endless top-shelf cocktails, indulge in a romantic candlelit dinner on the sand, or experience the Red Lane Spa's signature Lover's Lane massage, performed in-room or in the Lovers' Sanctuary. Sapodilla's is a great way to explore gourmet cuisine, too. With an adventurous and interesting menu, a rare find is ostrich steak. This adult-only destination is wonderfully appointed with crystal chandeliers and a terrace that overlooks a blooming garden. Le Petit Chateau is another great pick and is the resort's French adults-only restaurant, with indoor and outdoor romantic dining.